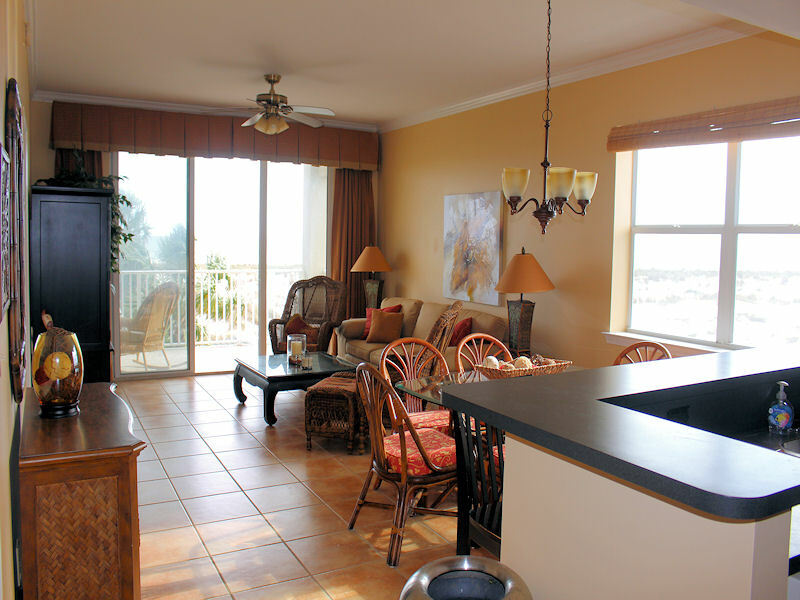 Description: Enjoy the incredible location and wonderful Gulf Beach view from unit 213. 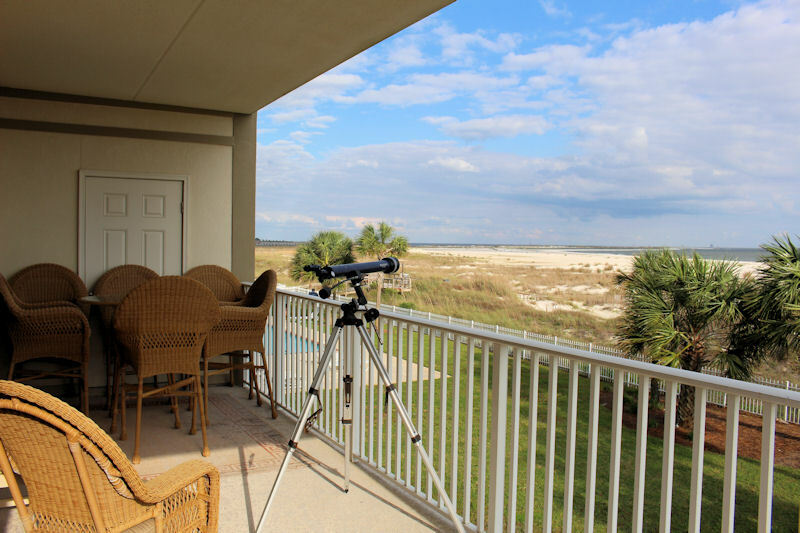 This lovely two bedroom condo is located on the western end of the second floor, allowing guests to enjoy not only the Gulf front view, but also gorgeous views of the beach as it stretches westward. 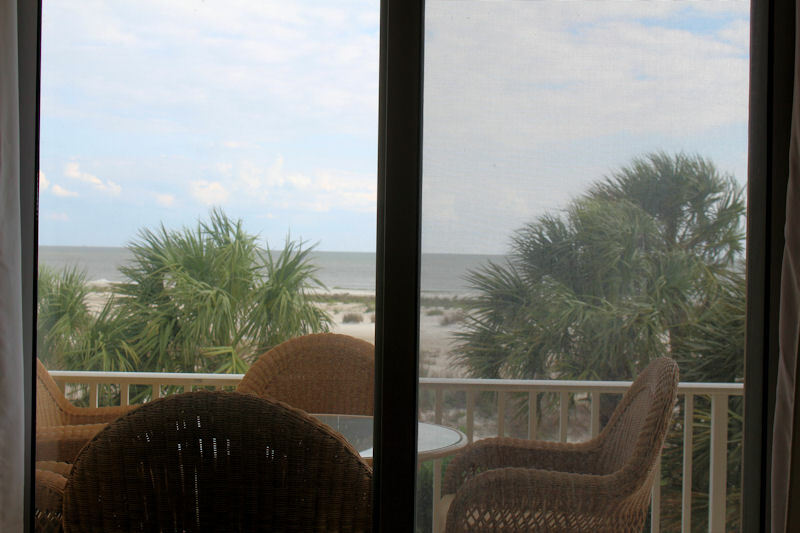 Start your morning with the beautiful view through the extra-large glass doors that maximize the beach view from inside the condo living area and master bedroom. 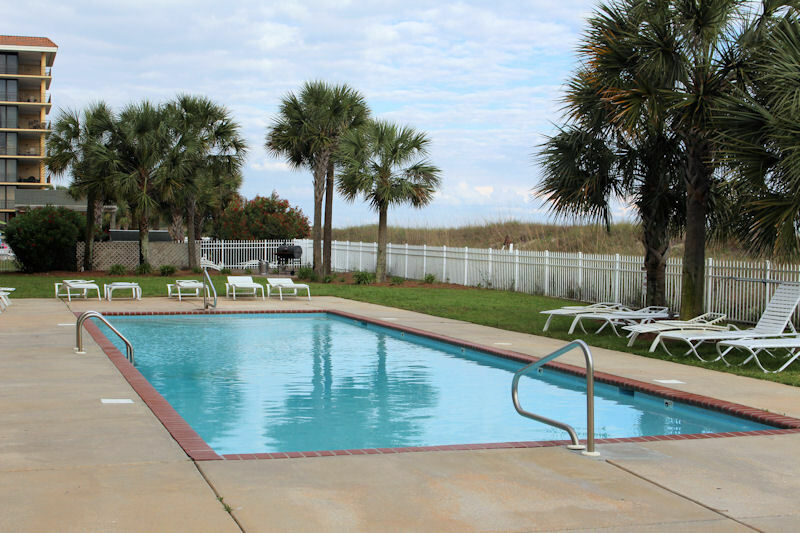 Play in the waves along the Gulf beach or enjoy the two onsite pools, then rest and relax on the large covered balcony and spend an afternoon soaking up the sun. 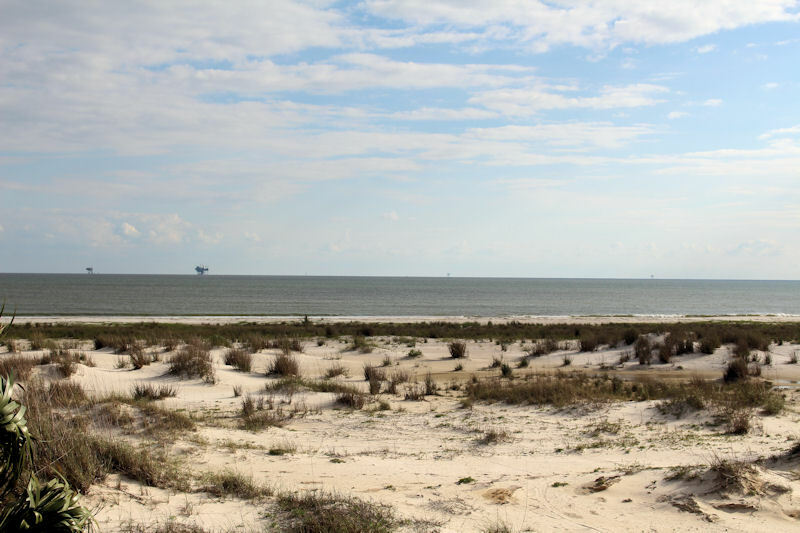 To end a perfect Island day watch the sky and enjoy the colorful sunsets that have made Dauphin Island the Sunset Capital of Alabama. 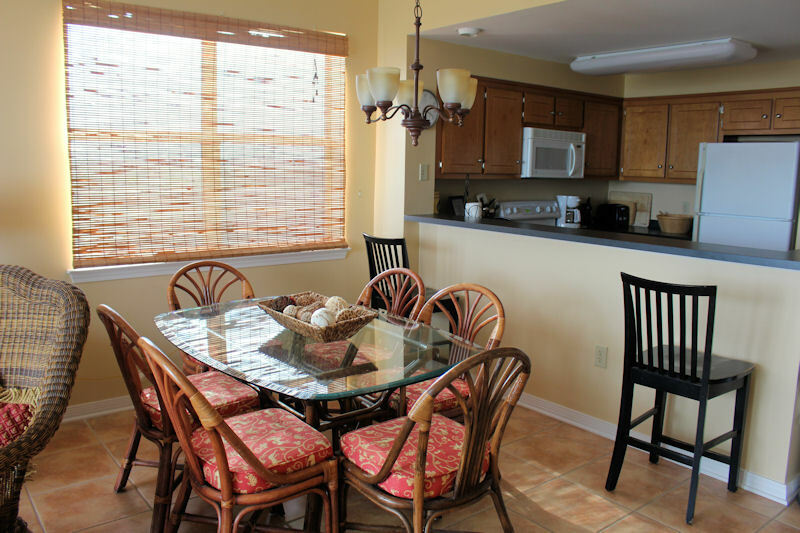 Comfortable and attractively furnished interior with ceramic tile floor, comfortable seating and large cable TV, DVD player and radio in living area, carpeted bedrooms, fully equipped kitchen and full sized washer/dryer. 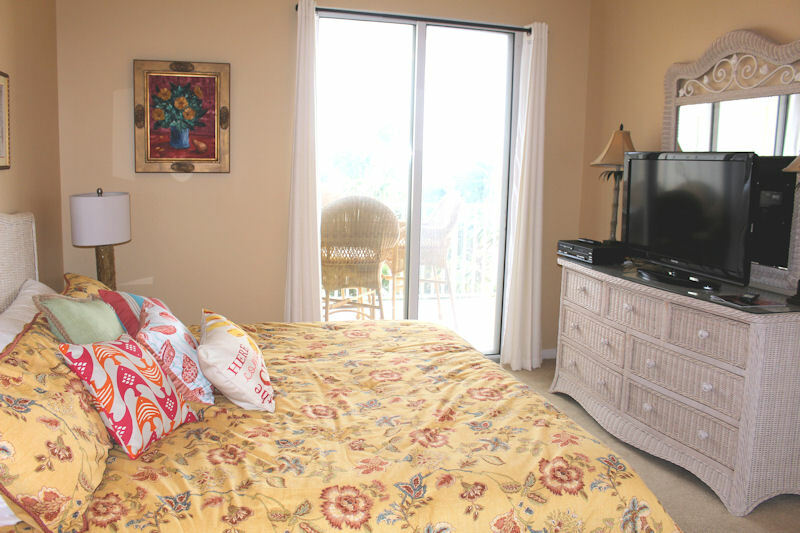 The master bedroom is equipped with a King sized bed with a private full bath and 40” cable TV, the second bedroom has 2 full beds, cable TV and adjoining full bath. 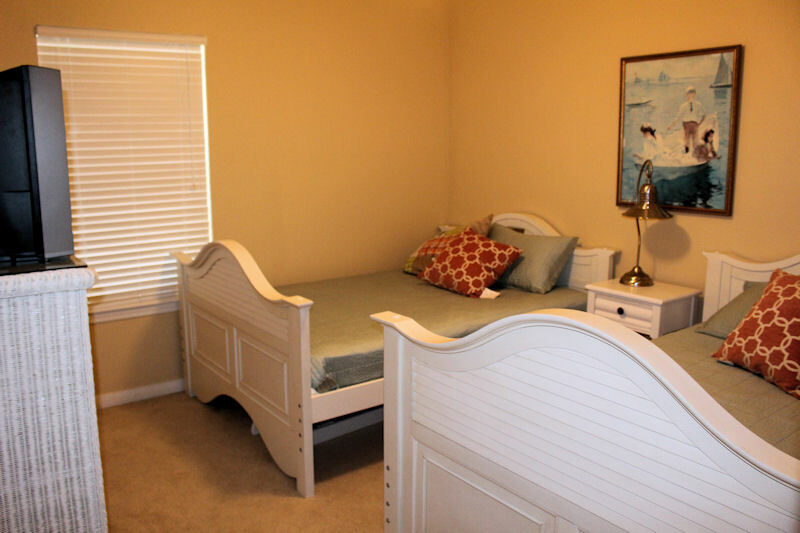 A full sized sofa sleeper is located in the living area. 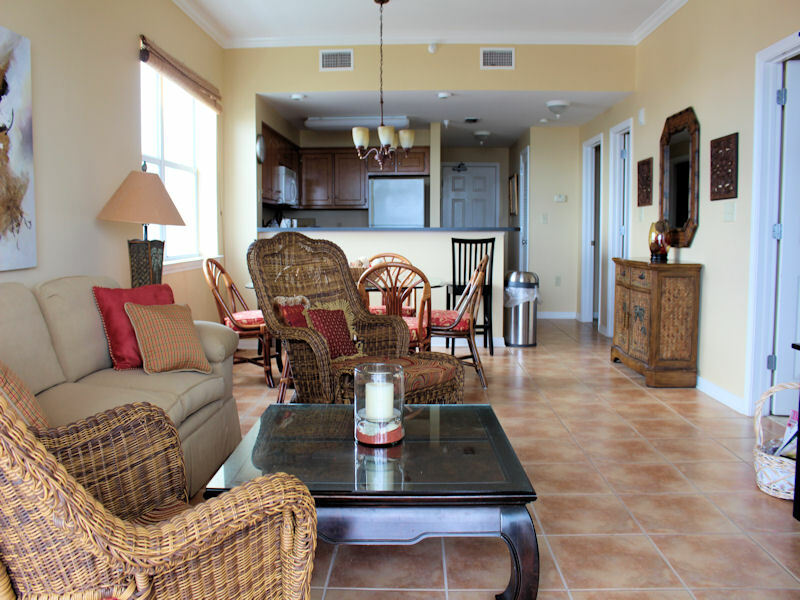 In addition to the Gulf front beach, enjoy the 2 Gulf front swimming pools, Gulf beachfront access, gated parking, elevators and ease of access to the Island’s 7 mile jogging/bicycle trail. 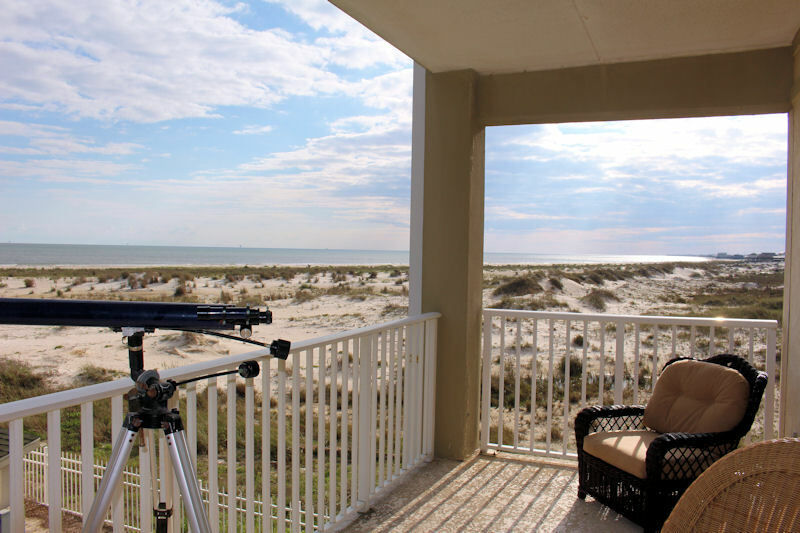 If you have additional questions about this beachfront Dauphin Island Alabama vacation rental property please call Boardwalk Realty toll free (877)861-3992. 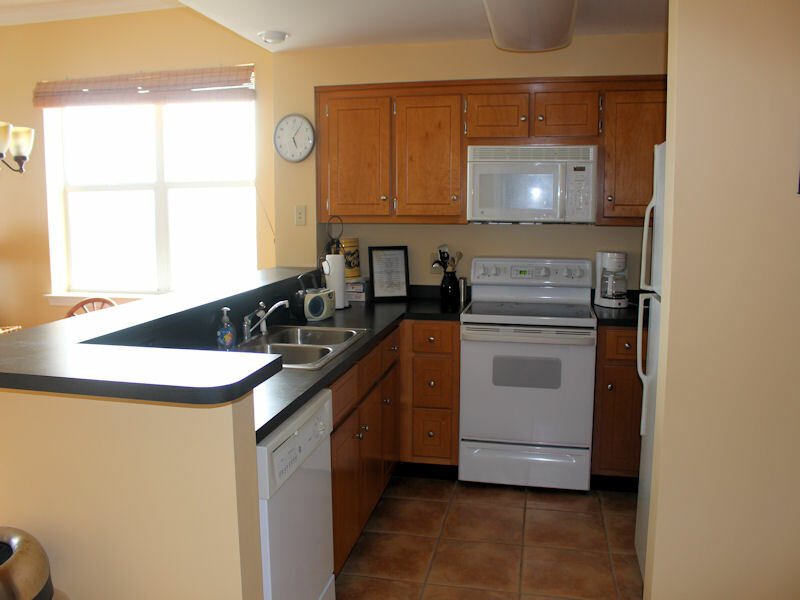 Amenities: Dishwasher. Washer/Dryer. Microwave. Coffee Maker. Toaster. Blender. Ice Maker. Stereo. Phone. 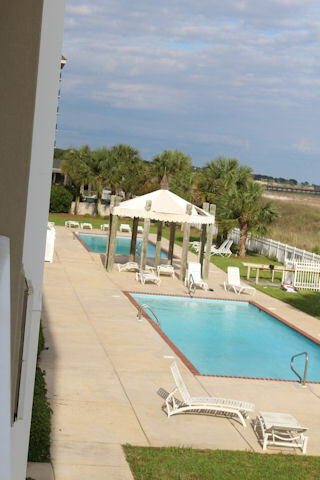 2 gulf beachfront pools. Covered Deck. 3 Cable TVs. Wireless Internet. No Pets. * Note: No smoking. No pets. 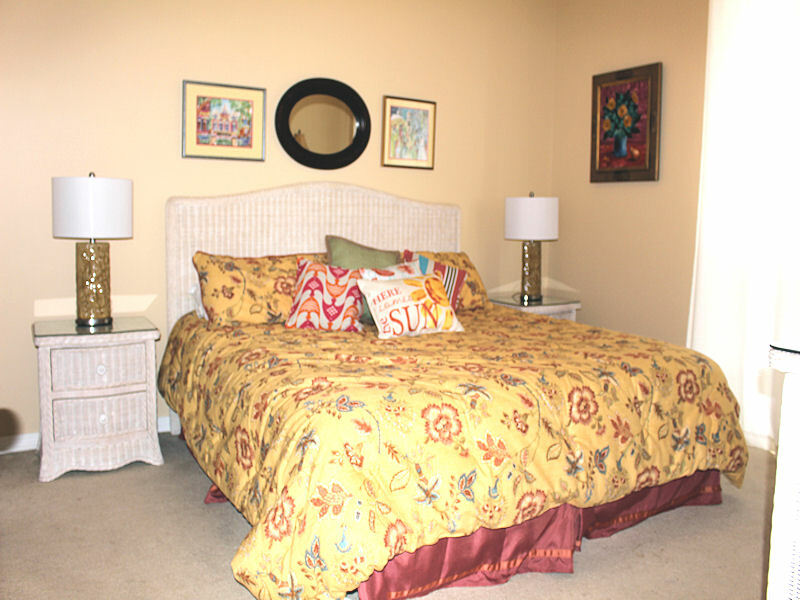 11% lodging tax, $30 reservation fee and $85.00 cleaning fee added to all reservations. Refundable $300 damage deposit required. 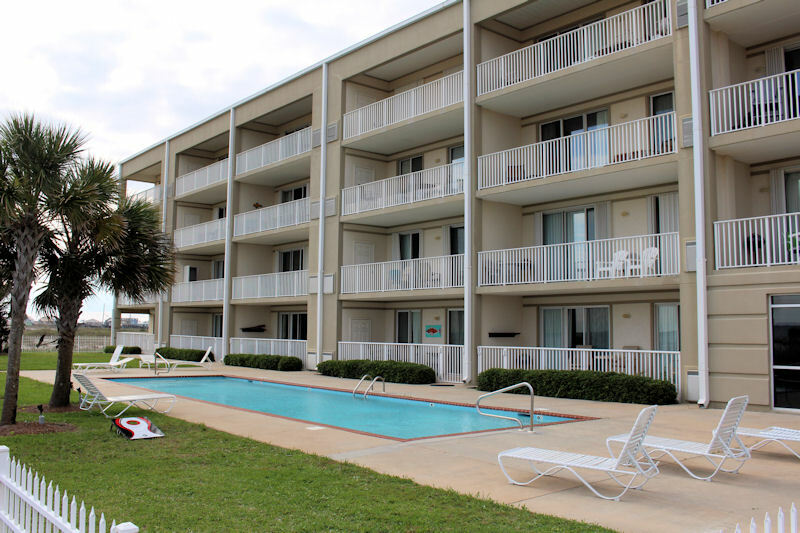 Payment equal to one half of the rental amount is due 60 days prior to arrival for summer season reservations. 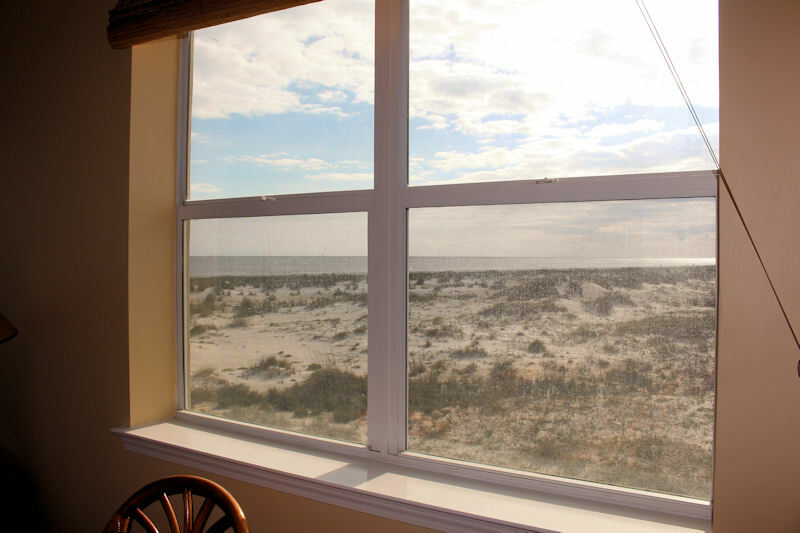 Guests must comply with Inn at Dauphin Island Condo policies and procedures. 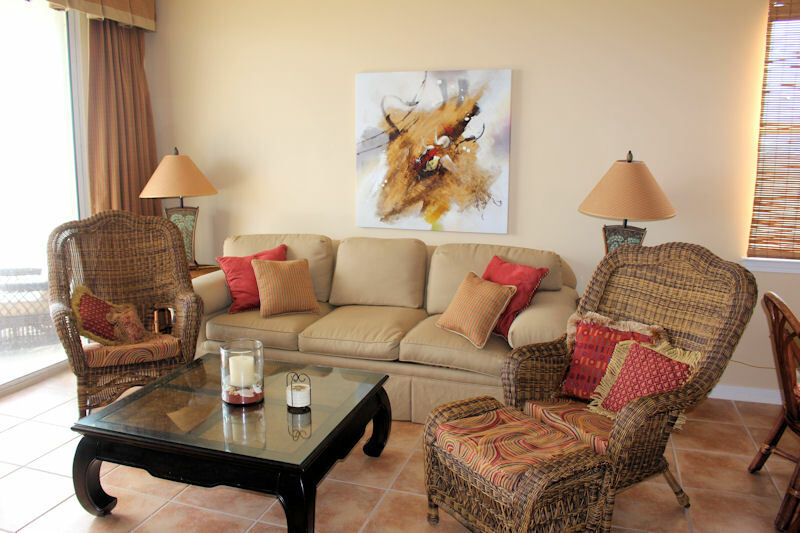 Please note: Wi-Fi service on the Island can be spotty and Wi-Fi consistency, connection speed or strength cannot be guaranteed. Summer seasons rental available on a weekly basis only from Saturday to Saturday. 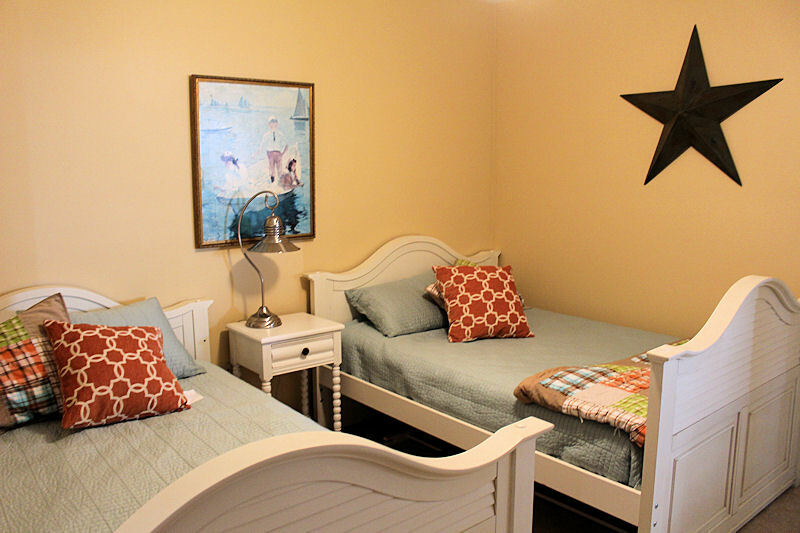 In addition to weekly rentals, 3 night minimum stays are available in spring, fall and winter. 2019 rates are listed below.